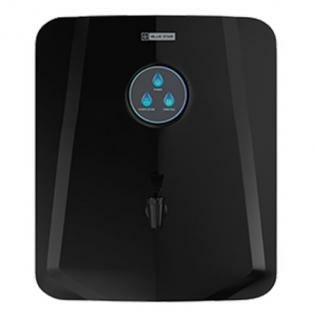 Blue Star Genia Water Purifier in Kharkhana, Blue Star Genia Water Purifier in Hyderabad, India - 500094, Bluestar Genia (RO + UV) water purifier comes with 6.0 litres storage capacity. It has 5 stage purification. It has features like double layered RO+UV protection, aqua taste booster (ATB), copper impregnated activated carbon, super fine sediment, high purification capacity, tank full indicator with 8 kg in weight. 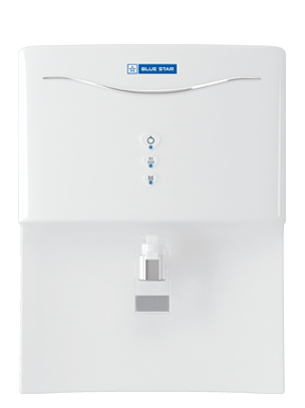 Bluestar Genia (RO + UV) water purifier comes with 6.0 litres storage capacity. It has 5 stage purification. It has features like double layered RO+UV protection, aqua taste booster (ATB), copper impregnated activated carbon, super fine sediment, high purification capacity, tank full indicator with 8 kg in weight.